Cartoonist and illustrator Doug Orleski shares unique and artistic views of Richmond through his blog, rvacoffeestain.tumblr.com. He also practices art abandonments, leaving clues to free art he’s planted in spots across town. If you find it, it’s yours. 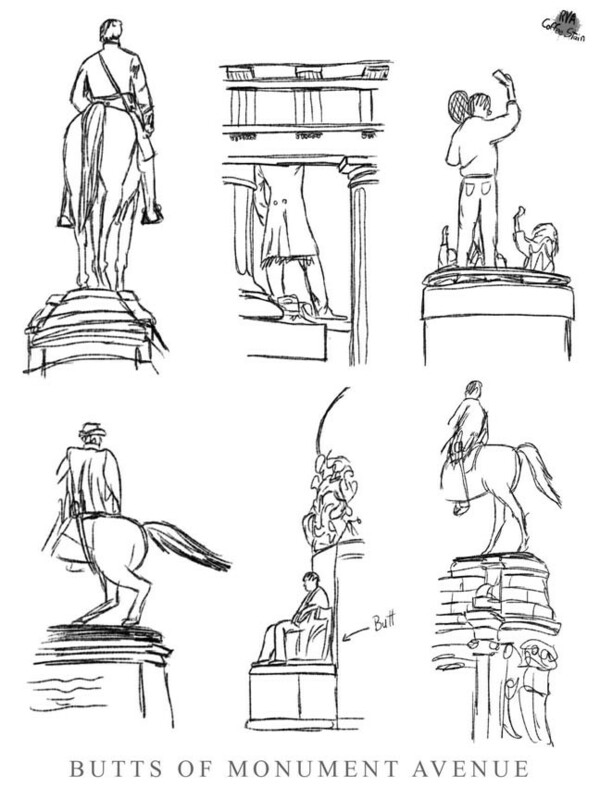 And sometimes the work’s for sale, like the 11-by-14-inch print on card stock of his “Butts of Monument Avenue,” above, available for $35 at etsy.com/shop/RVAcoffeestain.